The work we do in class each day doesn't stop because a student is absent. Usually, as the day wears on, it piles up on their desk creating a mound of unfinished work that will need to be completed at some point. In order to *hopefully* tame this mess, and have a chance at the work being completed, I have made some "While You Were Gone" folders. 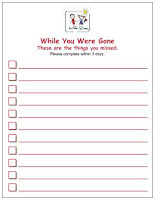 Over the summer, I ordered these awesome "While You Were Gone" notepads from...wait for it...wait for it...Vista Print. (I know some of you were shocked and awed that I mentioned them again....not like I am obsessed or anything) The pad comes with 50 sheets, which was perfect, since I only have 30 kids. I then took the sheets apart and glued them onto red folder and laminated. When a student is absent, my Table Captain goes to get a red folder from the holder and places it on the absent student's desk. As the day wears on, and papers get distributed, the Table Captain simply places any work that needs to be completed in the folder. This sits neatly on the student's desk so there is no muss, no fuss. At the end of the day, I write the items that need to be completed and returned. The student takes the folder home the next day (or whichever day he returns), and completes the work within 3 days. So far, it has worked out nicely. How do you deal with absent students and missed work? 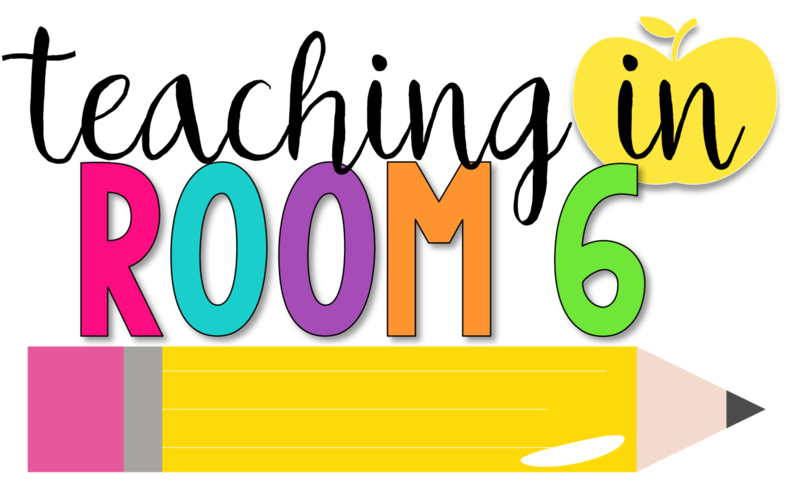 At the start of each block, students work on a beginning of class activity. While they complete that, I take attendance. I grab a copy of the assignment for each absent student and write their name on it. 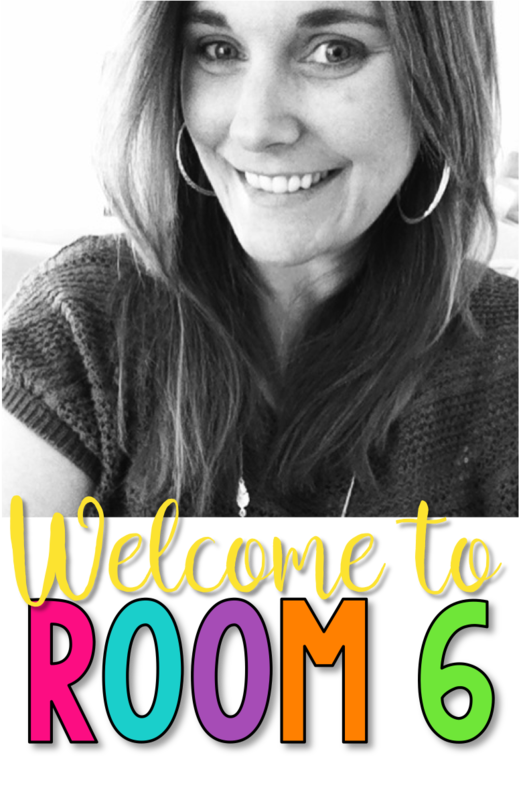 During my planning period, I take the assignments and place them in a laminated file folder attached to the inside of my door. When students return to school, they know to look there for missed work. I have no official method of dealing with absences...I just pile up the work on their desk and verbally tell them. I love your idea and I am definitely going to borrow it!!! Thanks! That's a great idea. I have seen someone else do something similar. Right now with 3 classes, I ALWAYS have work just sitting around. We (my partners and I) stick it into a folder that hte whole class uses to store unfinished work. I'll deal with it much better now!! :) What a great idea! Love it, so quick and easy! Thanks for sharing! Love this idea! Thanks for sharing. I've never used Vista Print, but I've heard a lot about them. Last year I had a pile of work like Kelly Hall mentioned above :) but this year I was determined to solve the chaos of the absent student. 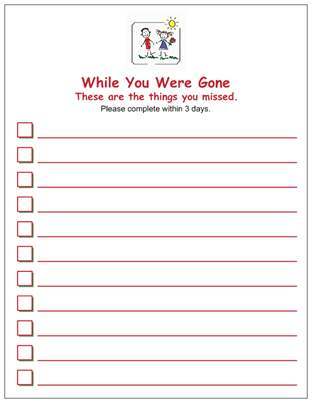 I labeled a magazine folder with "While you were Away" and created a file folder for each student. As the day progresses I put a copy f each sheet in the students individual folder and they know to check it when they are back at school. I love the idea of just putting the folder on their desk and having someone at their table put the sheets into their folder for them rather than doing it myself. Was the notepad already created on vista print or did you come up with it? I have a really cute worksheet (that I run off on obnoxiously colored paper so it's hard to lose) that I keep track of absent work on. The kid gets the top sheet and the papers clipped to it, but I like your folder idea, too. *MY* big problem is keeping track of if/when that work is eventually handed in, particularly when kids have been out for several days (and thus need more than a day or two to complete the work). Any good tips on that?? ?